Recent news of the reformation of three-quarters of the original lineup of Kyuss has gotten tongues wagging about this cult band, and what better time to take a look back in history? Although I’m on record as loving Blues For The Red Sun best from the Kyuss catalogue, I will stomach little criticism of the band’s other albums, especially not the ones after that masterpiece. The praises of Welcome To Sky Valley have long since been sung by our departed friend Al, so that just leaves the band’s swansong for reviewage, the much ignored ...And The Circus Leaves Town. It generally doesn’t get the kudos that Blues and Welcome do, not least because it’s a good bit more straightforward and grumpier than either of those albums. Drummer Brant Bjork had left due to the strains of touring, and his replacement, Alfredo Hernandez, never seems to inspire the same level of devotion from fans, despite being a very capable sticksman in his own right. Such is ever the lot of those who replace popular band members. Musically, there’s a clear difference in the band’s overall sound, leaning slightly towards the melancholic rather than the merely stoned – some say you can hear very clear hints as to the Queens Of The Stone Age sound here. Of course, if like me you enjoy a good deal of their output and think that Josh Homme is a pretty stand up guy overall, that’s hardly a problem, yet some strangely hate the more famous band and love their parent band. It’s not hard to hear why Kyuss are loved, at least, as stomping opener Hurricane comes out of nowhere and lays waste to your ears for two and a half minutes with crashing drums, raw riffage and a great vocal performance from Garcia, before vanishing back into the void – it reminds me of one of the tracks from Wretch, the band’s debut, oddly disjointed yet quite rocking in its own right. Things get even better with hit One Inch Man, a wonderful bass sound backing an insanely catchy riff that heralds the start of a fantastic song. Homme especially is on fire, his riffs and solo making this an album highlight. Instrumental Thee Ol’ Boozeroony is great too, the band’s time together spent well as a fun bit of Stoner jamming shows off the cogs running together smoothly. I find the album hard to criticise generally in terms of the songs themselves – seriously, what’s wrong with the Bluesy Gloria Lewis, or the dreamy Phototropic? There’s not a truly poor track present. El Rodeo rambles along wackily (the band clearly taking influence from the Primus school of song-naming) at first before waking up and getting a bit of speed under its belt, a moody atmospheric side of the band rarely being shown. Second instrumental Jumbo Blimp Jumbo is almost technically precise, a clear influence on modern alt-doomers like Beehoover, yet it’s the end of the album that is ultimately the best. Size Queen almost hysterically builds up to stoner heaven before sudden deflation introduces another dreamy track in the form of Catamaran, switching between trippy stoner riffs and calmer pondering. Finale Spaceship Landing, meanwhile, is simply magnificent, from the careful soloing to the meanderingly progressive stumble over territory Doomshaped. Personally, I think it’s easily as good as anything from Welcome To Sky Valley in terms of lengthy, head-nodding bliss, and although there’s a big silent bit before a silly hidden track (something I’m beginning to hate and am glad has gone out of fashion) it can’t take away from the brilliance of the music before. After this album, the band would split and various interesting projects would arise, not least from Homme’s The Desert Sessions series and Queens Of The Stone Age, both of which I intend to review at some future date, my no doubt controversial words on both best saved for then. It’s interesting to note, however, that generally Kyuss are not given the serious time of day from Doom fans, but shelved alongside the likes of Alice In Chains as the sort of 90s ‘Alt’ band who came close to metal glory but never quite reached its sparkling throne. I’m lucky, I suppose, to write for the sort of website whose readers (the vocal ones in the forum, at least) are elitist to the core when it comes to Metal itself, but are willing to treat bands on the edge of Metal with respect when a reviewer offers his humble words for contemplation. 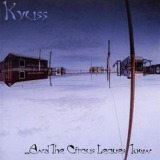 Kyuss may not be held in the same regard as, say, Candlemass generally, but it’s hard to argue with an output of three awesome albums and one very good one, and although I confess myself cynical about a reunion that doesn’t include Homme, I can’t help but wish the guys the best all the same. Whether they release a new album together or not, ...And The Circus Leaves Town stands as a fine example for them to beat.